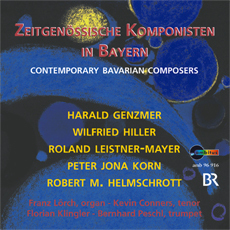 The recording presents an exciting cross section of modern bavarian church music composers. It is surprising how different compositions in the genre of organ and church music have come in to being in the past 30 years. The interpreter, too, grows in importance, otherwise the musical work (now more than ever) will remain just notes on a piece of paper. These compositions only really come into being when creative inspiration and interprative intuition begin to work together.